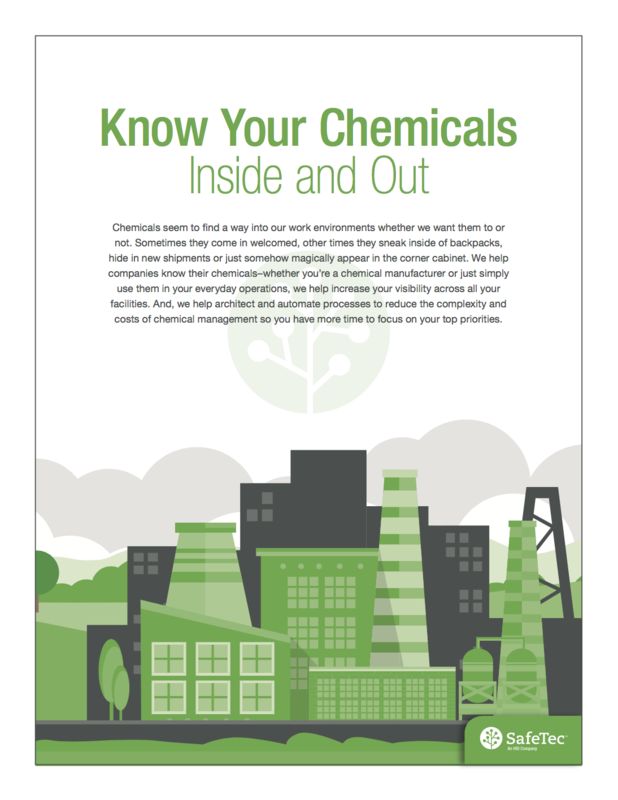 HOW WELL DO YOU KNOW YOUR CHEMICAL INVENTORY? SafeTec helps companies know their chemicals, whether you’re a chemical manufacturer or just simply use them in your everyday operations, we help increase your visibility across all your facilities and advance your chemical intelligence. Access your copy by completing the form on the right and clicking "Download Now."